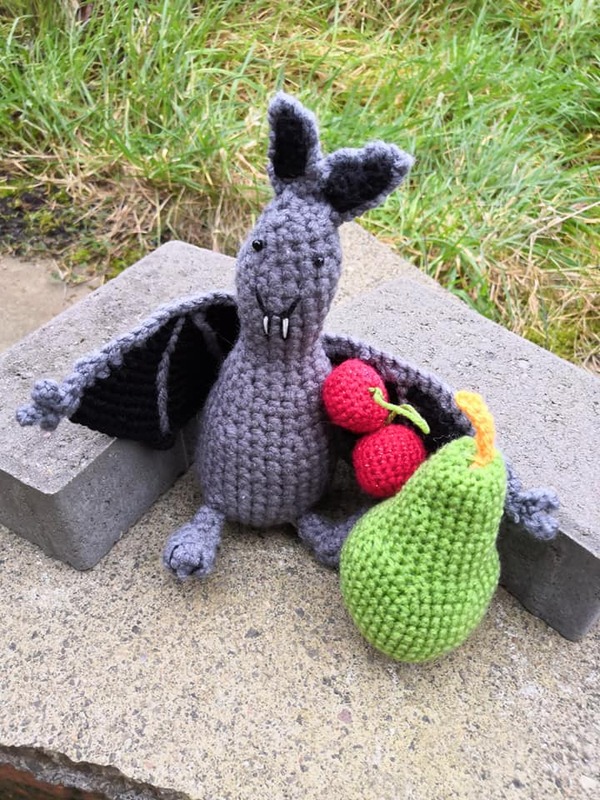 As a result of the impression this book made on our little family, I decided to bring Morag Hood’s lovely illustration of BAT to life with a crochet amigurumi doll for my daughter. Her response to receiving her very own 3D BAT was priceless. It brings me SO much joy to be able to turn a mess of string into something with such personality that can be cuddled, squished, loved and played with. His eyes are little black beads as they were a perfect size when compared to the illustration and the mouth/teeth/toes were embroidered on with embroidery thread. 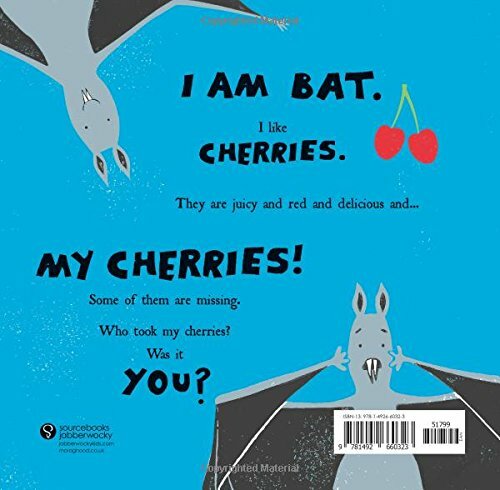 I also made two accessories for BAT which are a set of cherries and a pear as they are relevant in the book. If you scroll down I have included a picture of the back of the book to compare! So awesome!!!! You are so talented. This warms my heart! I’m sure your daughter flipped over your BAT!! Thank you! :) Bat has a much prized position of favor in her bed with all of her most special soft toys. (she is very particular) She loves acting out the book with him too!